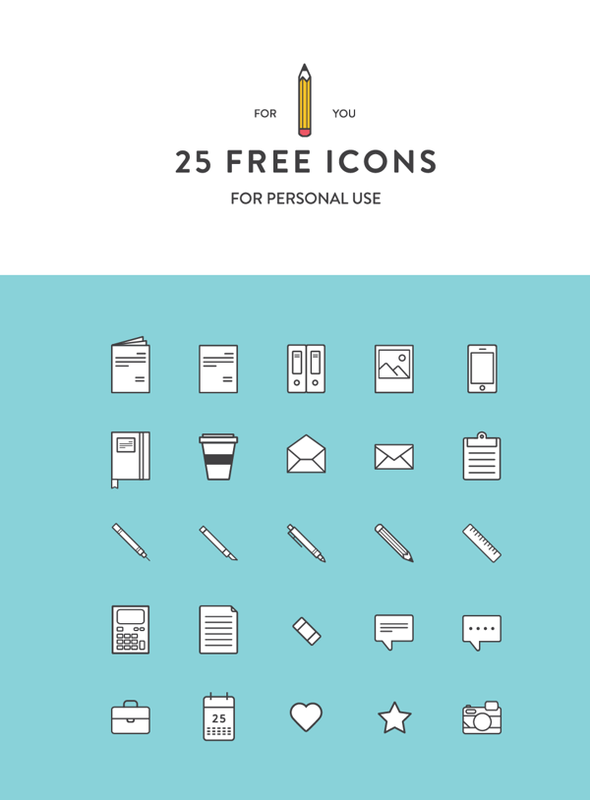 This is a featured set of 25 free illustrative icons for your creative designs. These icons are designed by Martina Cavalieri. The icons come in .ai, .eps and .pdf formats so they are really flexible to edit and resize depending on your needs. These icons are for personal use.